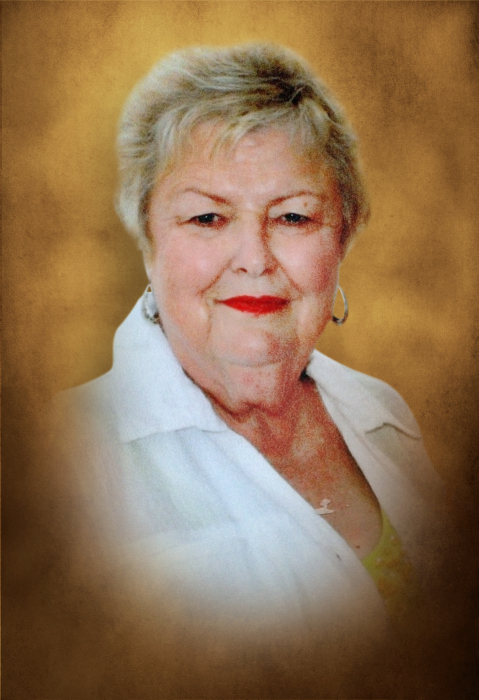 Taylor funeral home of Louisville announces the death of Betty Bunn Lewis, age 80, of Peachtree Street, Louisville, who died Monday afternoon November 12, 2018, at her residence. Funeral services will be held 11:00 AM Thursday in the Louisville United Methodist Church with Rev. Peter Vermeulen officiating. Burial will follow in the Louisville City cemetery. Pallbearers will be Samuel McNeely, Matthew Rushing, Grant Tillman, John Bunn, Mike Jones, Matthew Moore, and Hank Gilmore. Betty was a native of Midville, Georgia, a daughter of the late Frederick and Sadie Bunn. She graduated from Midville High School. As a child and young adult, she was a member of Bark Camp Baptist Church in Midville. Mrs. Lewis later attended the Louisville United Methodist Church and was a homemaker always caring for her family. Betty was preceded in death by her parents, husband of 47 years Bert Lewis, 4 siblings, John Bunn, Bill Bunn, Frank Bunn, and Audrey Odom, and is survived by: daughters and sons-in-law Penny & Andy McNeely of Louisville, Kathy & Kyle Rushing of Brooklet; son and daughter-in-law Ron & Gena Lewis of Pembroke; 6 grandchildren Samuel & Mary Ann McNeely, Anna & Larry Bailey, Haley & Kevin O’Grady, Matthew Rushing, Grant Tillman, Jett, Jacob, & Stryker Lewis; great-grandchildren Drew, Ben, Caroline, Brody, & Jack; several nieces, nephews, and cousins. Those desiring, in lieu of flowers, memorial may be made to the Louisville United Methodist Church 301 West 7th Street Louisville, GA 30434, or to The Lydia Project 1369 Interstate Parkway Augusta, GA 30909-5626. Family will receive friends 5:00 to 7:00 PM Wednesday at the funeral home.